Customer Picture Number 125 Selected. Cool Car decals applied. 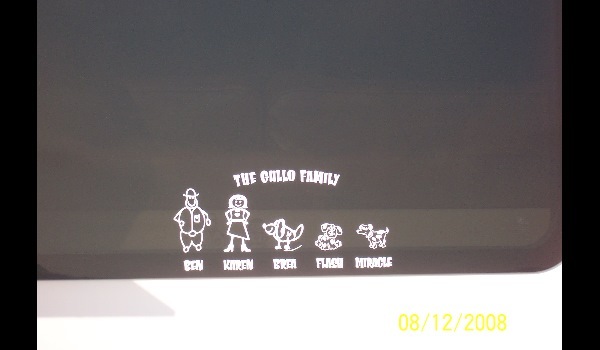 A close up of Ben's Family Sticker.